ZANU-PF MP for Buhera South, Joseph Chinotimba says he was ashamed of the riotous behaviour of fellow legislators Dexter Nduna and Temba Mliswa who came close to trading blows beginning of this week. He equated the feud to two "idiotic" school teachers who brawl in front of their pupils. Zimbabwe's ambassador of happiness told journalists at parliament building Thursday that he was confronted by outsiders while away to Dubai to attend a peace summit, to explain the unruly behaviour of his colleagues. "The behaviour of the two is not expected of parliamentarians. I was in Dubai and I was being asked on what was happening in Zimbabwe. What Nduna and Mliswa did does not show happiness among MPs," Chinotimba said while still clad in an Arabic gown and head scarf. Nduna, who is Zanu-PF MP for Chegutu West and Mliswa, independent MP for Norton, rowed in front of outsiders who had come for the Mines and Energy Committee. The bust-up came just after Zanu-PF MP for Chiredzi North, Roy Bhila had demanded Mliswa's recusal as committee chair until he cleared his name from bribery claims. Mliswa is under investigation from parliament following claims of demanding a bribe of $400 000 from Hwange businessman James Ross Goddard. He is facing the probe together with Binga North MP, Prince Dubeko Sibanda and Anele Ndebele (both of MDC) as well as Leonard Chikomba of Zanu-PF. During the altercation, captured via smartphone video which went viral on social media, Mliswa called Nduna a "triple thief" while the latter threatened to kill his former Zanu-PF colleague adding that he has killed many. Nduna has since filed a $10 million defamation suit while Mliswa has demanded parliament to institute an investigation into murder "confessions" by the Zanu-PF MP. 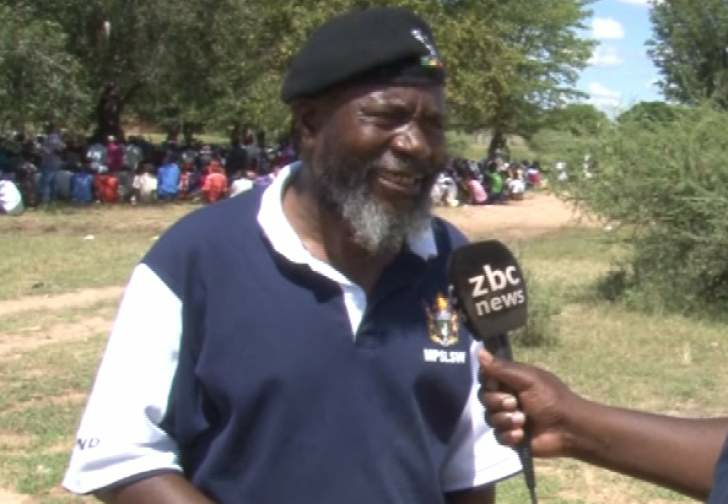 In his comments, Chinotimba said the behaviour exhibited by Nduna and Mliswa was taboo in other countries. He added, "If a teacher does that in front of school children, it is idiotic. "I am not happy with their behaviour as people were asking me what these MPs were doing."